No public hearing is set at this time. The public comment period closed on November 20. The California Chamber of Commerce and other employer groups are opposing proposed regulations mandating employers respond with job titles and wage information to what is now a voluntary survey because the response could create new grounds for litigation. The Employment Development Department (EDD) sought comments on the proposed mandatory participation in the Occupational Employment Statistics (OES) Program survey. The EDD gathers the occupational workforce data from employers for the OES Program survey as part of a federal-state cooperative agreement between the federal Bureau of Labor Statistics (BLS) and EDD. The data collection process begins with the federal BLS designating employers to be surveyed by the EDD. Employers are notified and encouraged to complete the surveys over the designated time period. EDD collects the data and provides it to the BLS. The survey documents can be time-consuming for employers to complete as they are required to match their own job titles to the standard job titles listed by the BLS (Standard Occupational Classification system), as well as provide a brief description of the duties for each job title. Not all employers have the resources to devote to such administrative duties. California regulations currently impose many administrative burdens on employers; this new mandate will serve only to further undermine the business climate in California, CalChamber states in its letter to the EDD. The coalition is concerned that detailing and sharing this information could create new fertile grounds for litigation. Savvy attorneys looking for problems could investigate the publicly available information, using it to threaten and harass employers regarding their workforce, their pay and any other perceived inequities. Furthermore, employers may wish to protect their staffing details as trade secrets in how they manage their business. Although the proposal mandates that the agency hold the identity of the reporting employer in strict confidence, there is no explicit protection from requests for this information under the Public Records Act. Making this information public could put the reporting employers at a competitive disadvantage and circumvent the discovery process in litigation. The EDD has not addressed the reasons that employers are reluctant to respond to the survey. EDD’s Initial Statement of Reasons does not indicate that it has explored employer concerns and the reasons behind the low response rate. Identifying the reasons for the lack of responses and developing solutions to employer issues and concerns would foster greater cooperation than the proposed mandate to comply. The coalition is urging the EDD to explore alternatives to enhance voluntary participation with its federal partners at the BLS, as well as to determine why employers’ response rate is below expectations, and address those reasons as alternate methods of enhancing data collection. The exact next steps are unclear. In accordance with the Administrative Procedures Act, the agency may revise the proposed regulations and open another comment period, withdraw the regulation or adopt them as is. 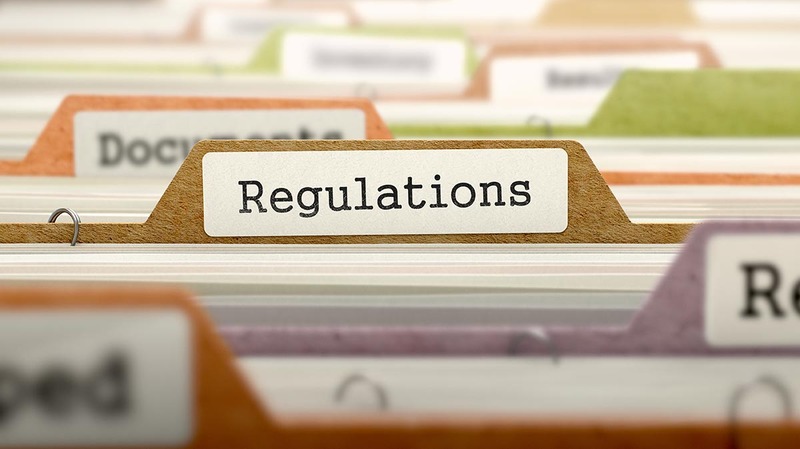 Once a regulation is adopted, the agency must provide a response to all public comments in the final statement of reasons which is made public following the adoption of the rule. CalChamber will keep readers informed on the action the EDD takes.